The law firm provides the complete range of tax services such as corporate reorganisation and transactions, with 37 partners and more than 200 other tax professionals. 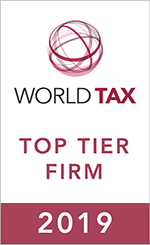 Deloitte Tax & Legal Norway has a strong client base, including domestic and international companies. Many companies on the Oslo Stock Exchange (OBX) are clients of the law firm. This includes key industry sectors like oil and gas, shipping and infrastructure. As part of Deloitte's 2020 strategy, the Norwegian firm has deployed new tax technology to streamline service delivery. For instance, Deloitte offers clients automated means for compliance and value chain analysis. Tax technology is a key part of Deloitte Norway's offering to clients.